Grapes hand harvested in early morning hours and transported to cellar lasts 30 to 45 days immediately where they are de-stemmed and pressed. After pressing, the must is transferred to inox where it is cooled to 10 degrees celsius. After 48 hours the sediments naturally drop to bottom and than juice is transferred to another inox aging tank where fermentation begins naturally with wild yeast. Temperature controlled after fermentation fermentation lasts 30 to 45 days, afterwards the wine is lightly filtered and bottled. 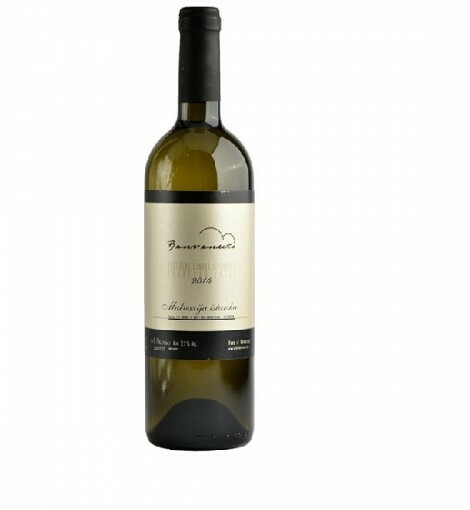 A wine of balanced structure and strong body, it’s extremely fresh and mineral driven; inviting you to have another sip. A very unique wine.